So, it seems that oil has finally moved in the expected direction, ie. down. I have written many times about expected correction, and I have also analyzed oil several times in the Spread reports. The indicators and analyzes used by me were again right. Let’s look at the current situation today. I will also describe my other plan on this market. The beginning of the correction has been already marked by the technical analysis. 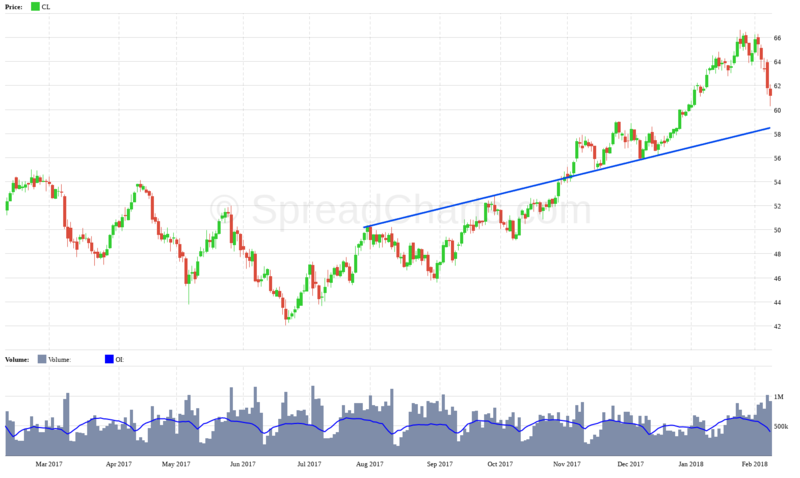 Gradual penetration of trend lines and their subsequent testing from down is a very common indication of trend reversal or coming correction. And what is my first goal? On the chart, we identify one very clear trendline, which indicates the first possible stop – the range between $ 58-60. But let´s go step by step. A very clear indication of the upcoming correction was the COT analysis. I do not think there is a need to describe it further. At first glance, it is clear that the net position (the difference in the number of long and short positions) of both groups were at historical extremes. The COT index has also reached historically extreme values. I would say that this is even stronger proof than the net positions. The COT index also takes into account changes in the market that have taken place over many years. Another important indication was the third COT indicator – the net concentration index, which reveals the mood of the few largest players in the market. At first sight, the market stretch is also visible here. 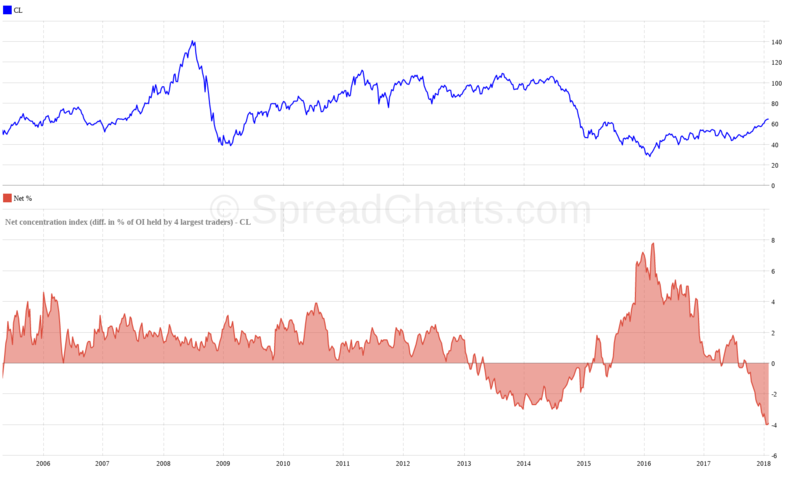 Last but not least, I must also mention a very important intermarket analysis of the spread between Brent and WTI oil. As I have explained in Spread report, the drop in this intermarket spread is a necessary condition for the correction on WTI oil. The reason is basically very simple. 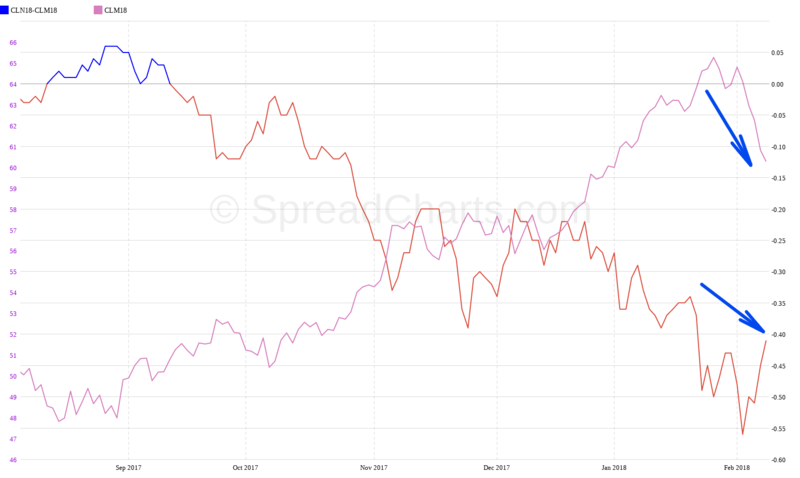 The higher is the spread, the more advantageous is WTI oil compared to Brent oil. This leads to a strengthening of the American WTI oil export, which raises the price up. 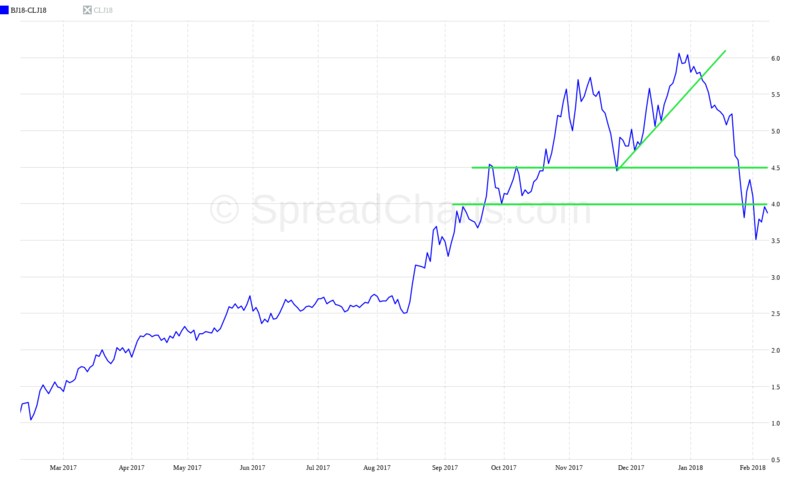 As you can see on the chart, the spread has fallen sharply and penetrated several important supports, which was a necessary condition for a correction. 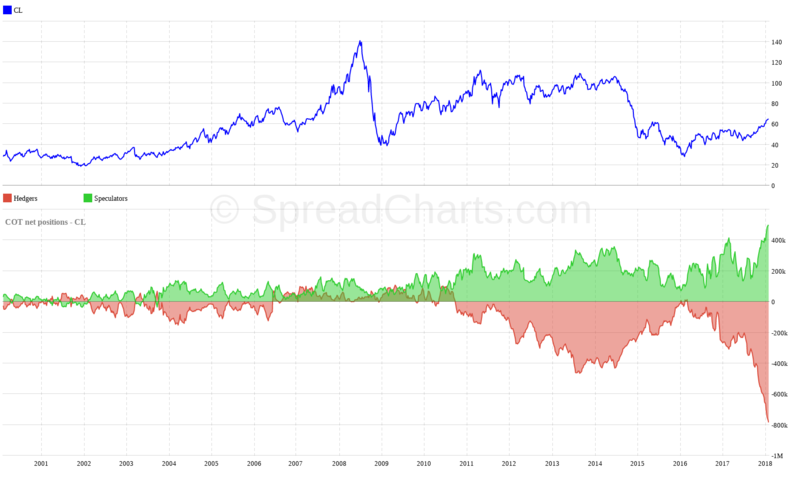 But I must point out that there is NO direct proportion between this intermarket spread and the price of US oil. 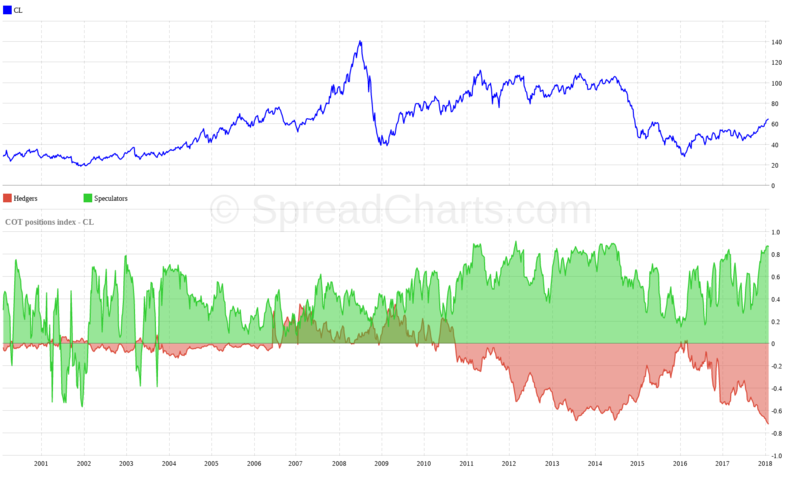 This means that if intermarket spread falls, the WTI oil may not fall accordingly or at the same time. Despite these strong arguments, I do not expect return to the bear market. Rather, I expect a straightening of the oversold market, so it can be settled through the correction needed to continue the uptrend. It will be interesting to see if the correction is strong enough for the market to its return to the contango. So far, it does not look so. When we are looking at interdelivery bear spreads or contango development chart, we cannot see a big shift upwards (into a contango). 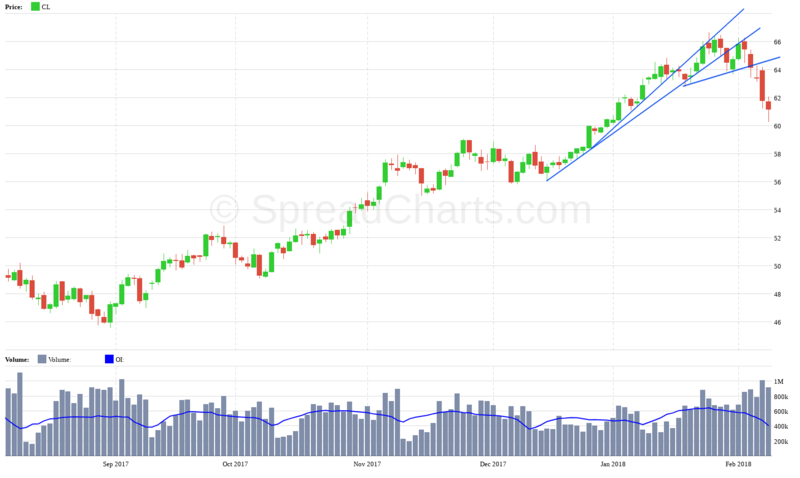 Therefore, if the market remains in backwardation, the market will be closer to the correction scenario after which the market returns to growth. If the price reaches the goal I set as first, then I probably close my position. But that’s just one of the scenarios. 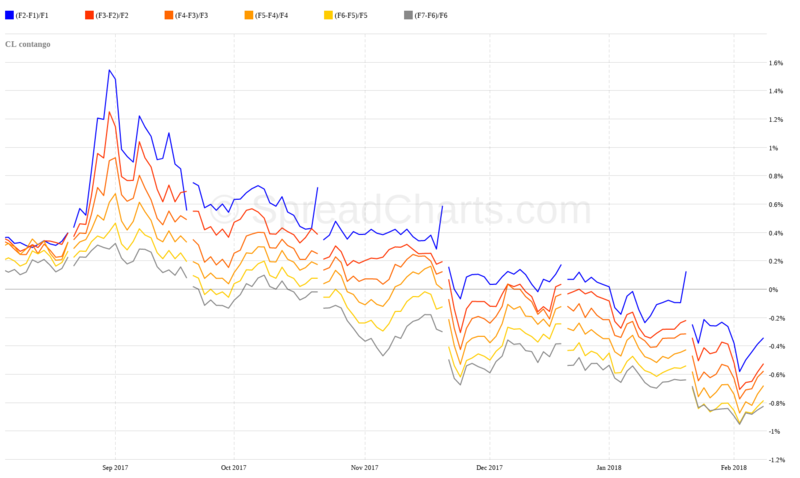 After a sharp decline in the last days, growth correction may occur this week. Up to where could the price rise and shall I increase my current position in such a situation? 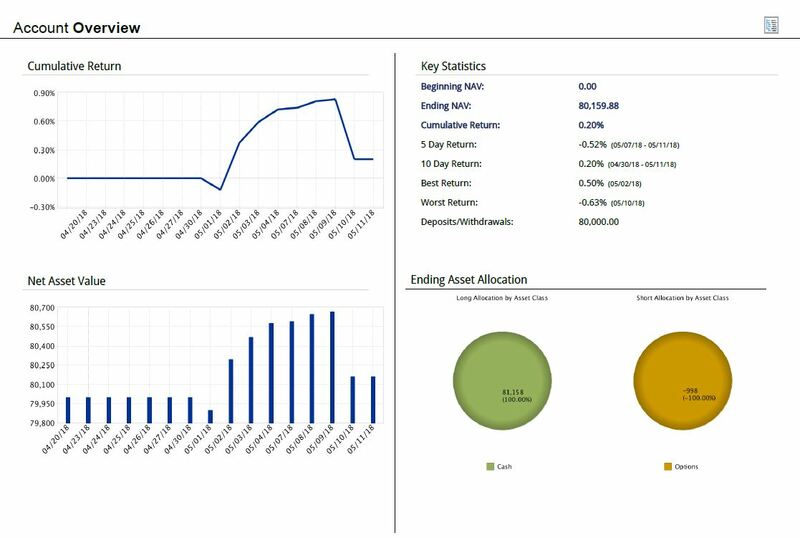 I will discuss this in the Spread report released today, where I will have fresh COT data and market structure from SpreadCharts.com.